The High Commissioner on National Minorities heads an institution of the Organization for Security and Co-operation in Europe (OSCE). The post was created in 1992 to identify and seek the early resolution of ethnic tensions that could endanger peace, stability or friendly relations between the 57 OSCE participating States. The first High Commissioner was the Dutch Minister of State Max van der Stoel. The post is currently held by the fifth High Commissioner, Lamberto Zannier of Italy. The High Commissioner works to ease tensions involving national minorities that could lead to conflict within the OSCE area. The post is described in the mandate as “an instrument of conflict prevention at the earliest possible stage.” This means that the High Commissioner also works to address the long-term causes of interethnic tensions as well as trying to contain and de-escalate urgent situations. The High Commissioner also provides the OSCE with “early warnings” if ethnic tensions threaten to develop into a full-blown conflict. Tours start at 10:30 a.m., 12 noon and 1:30 p.m. and last for approximately 1 hour. The language of the tour is English. 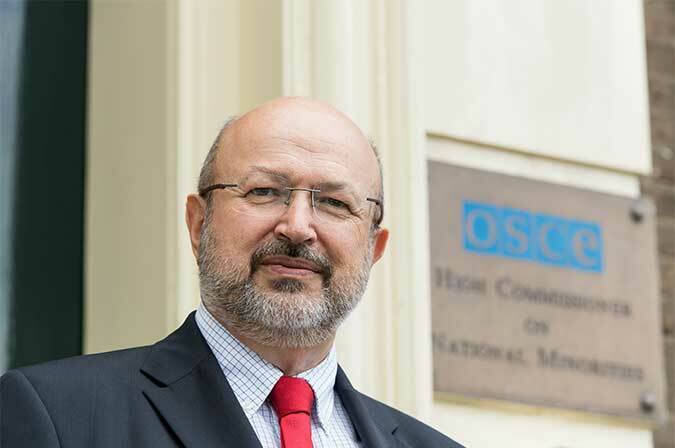 Visitors will be introduced to the work carried out by the OSCE High Commissioner on National Minorities (HCNM). There is a maximum number of twenty-five people per tour. Visitors are requested to register for their preferred tour(s) online beforehand.